Today I am blowing the dust of my blog to write about my upcoming exhibition Not Half Right opening at The University of Atypical Gallery, Belfast in November 10th. The show, named after my blog, is a disjointed narrative of my chronically ill life as I enter my seventh decade with all guns not blazing. Not Half Right is a monologue of misery made slowly with many intermissions, peppered with moments of levity to sweeten the pill. The ephemera of a sick life and the associated pills, potions, cures and lotions are some of the themes explored in this work. It also explores rituals around healing and the never ending search for the elusive cure. Over the years I have amassed a grand hoard of useless articles and medically related tat much of which has found it way into the drawings, prints and assemblages in this show. 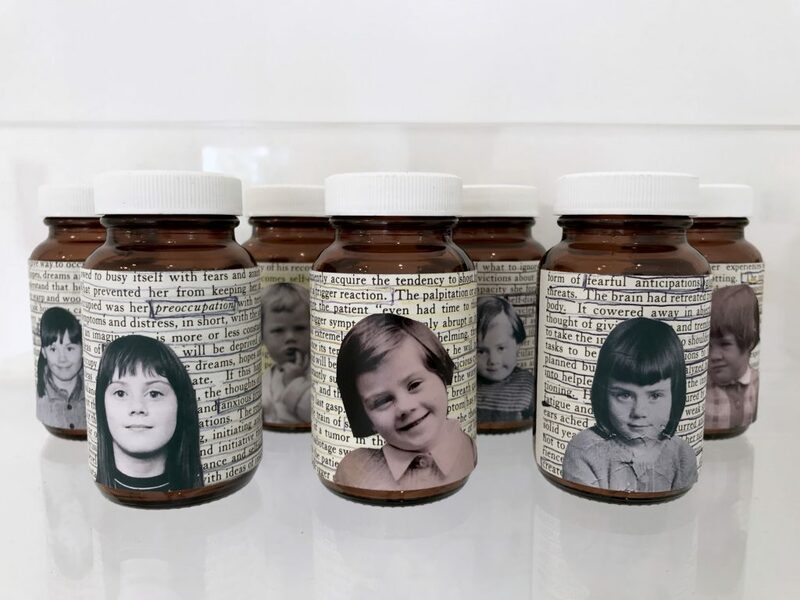 Dr Lows Prescription are a series of pill bottles with text from a self help book overlaid by photographs of me as a child. The book, Mental Health Through Will Training, was written by American psychiatrist Dr Abraham Low in 1952 as a self help manual for his ex patients. Although the language used in the book is very dated (all married women are still safely secured in the home!) it still stands up as an enlightened and early form of Cognitive Behavioral Therapy. Amazingly the book is still in print and continues to be use by Recovery groups throughout the world. Find out more about Not Half Right at the University of Atypical website. Good luck with your exhibition launch coming up Jane. 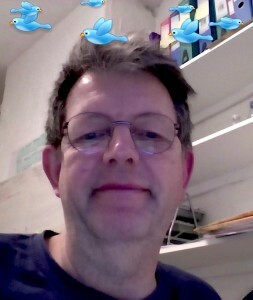 I love your sense of humour, as always, your blog raised my spirits with a laugh. It’s so easy to forget to laugh at the ridiculousness of chronic illness.